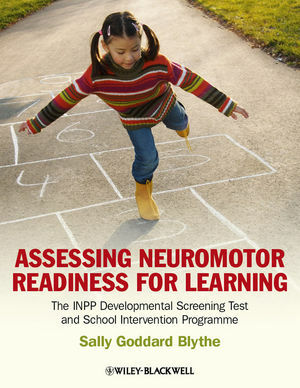 Assessing Neuromotor Readiness for Learning is a substantially revised and expanded edition of a long established INPP training manual that has been consistently proven in practice. The package includes tests for children, a developmental movement programme, and online access to INPP video training materials. Places emphasis on assessing children’s physical development and howneuro-motor skills provide the foundations for learning success. Please click on one of the following links to complete your purchase from either Wiley Blackwell or Amazon.